Beginning this summer, Outside the March (OtM) is inviting you to put your life on pause with a series of proudly analog movie-loving experiences hearkening back to yesteryear—or at least to the days before Netflix and Amazon Prime. The Popcorn Double Feature will see OtM take over the Annex’s historic Queen Video and open up its own VHS rental store (with a twist) for The Tape Escape, and transform Streetcar Crowsnest into a classic cinema for The Flick. In 1734, Marie Joseph Angélique, an enslaved Black woman known for her outspoken disdain towards servitude and her masters, set fire to Montréal, completely destroying a hospital and dozens of houses including her owner’s residence…or so the story goes. This week, Modern Times Stage premiered its latest production of Anton Chekhov’s The Cherry Orchard. This excellent production helps mark Modern Times Stage’s 30th anniversary. 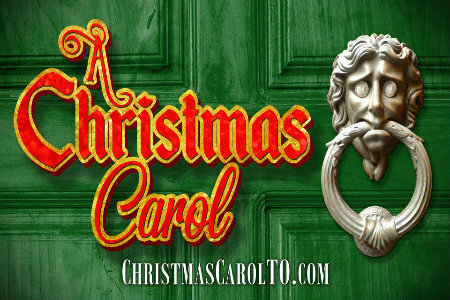 The Three Ships Collective with the support of Soup Can Theatre present a new and immersive adaptation of Charles Dickens’ timeless holiday classic – A Christmas Carol – set in the historic Campbell House Museum.